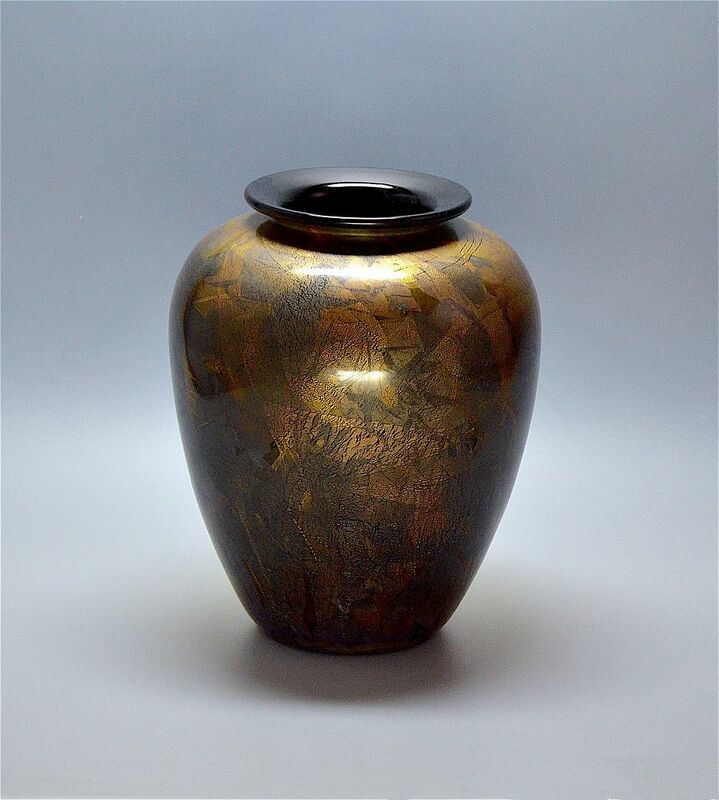 This very elegant vase was made at the Isle of Wight Glass studio at St Lawrence and is a Black Azurene (gold leaf on black glass) Amphora vase. It has a clear Isle of Wight Glass studio label on the base but is not otherwise signed. We bought this in 2010 but I believe this was made in the 1980s/90s.